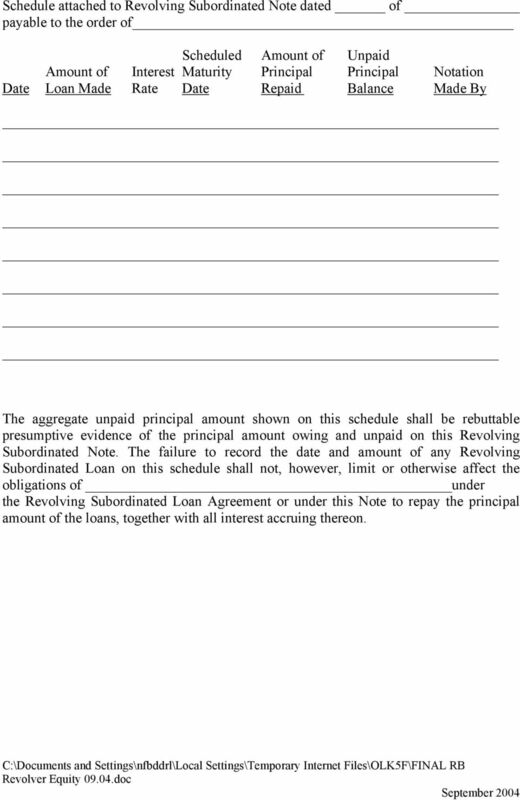 Download "REVOLVING SUBORDINATED LOAN AGREEMENT"
9 Schedule attached to Revolving Subordinated Note dated of payable to the order of Scheduled Amount of Unpaid Amount of Interest Maturity Principal Principal Notation Date Loan Made Rate Date Repaid Balance Made By The aggregate unpaid principal amount shown on this schedule shall be rebuttable presumptive evidence of the principal amount owing and unpaid on this Revolving Subordinated Note. 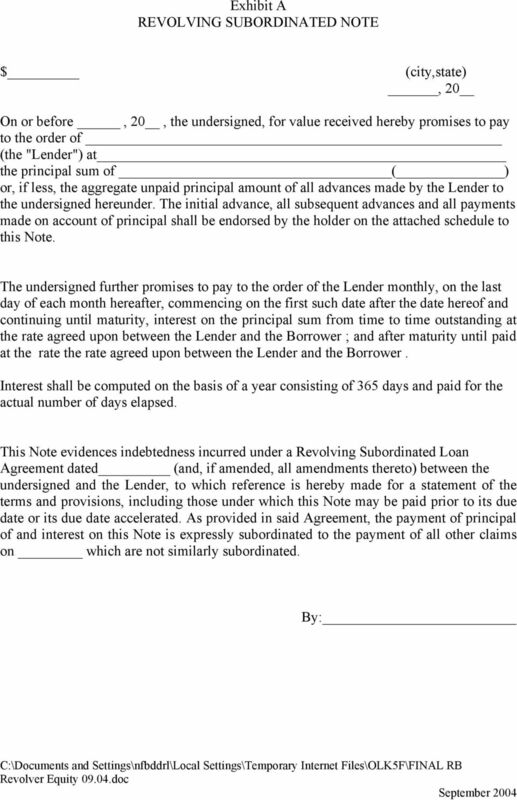 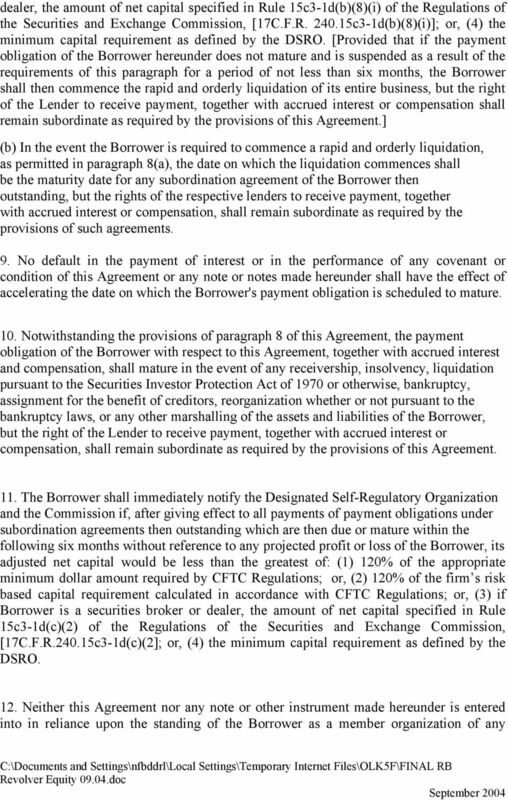 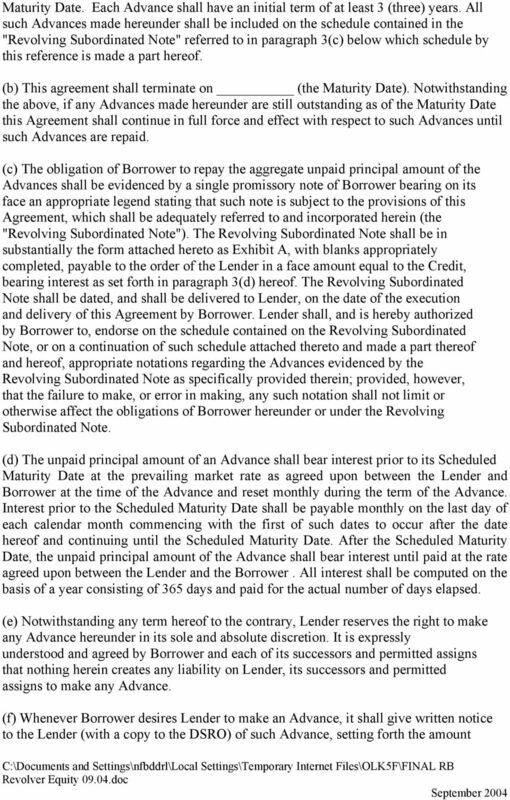 The failure to record the date and amount of any Revolving Subordinated Loan on this schedule shall not, however, limit or otherwise affect the obligations of under the Revolving Subordinated Loan Agreement or under this Note to repay the principal amount of the loans, together with all interest accruing thereon. 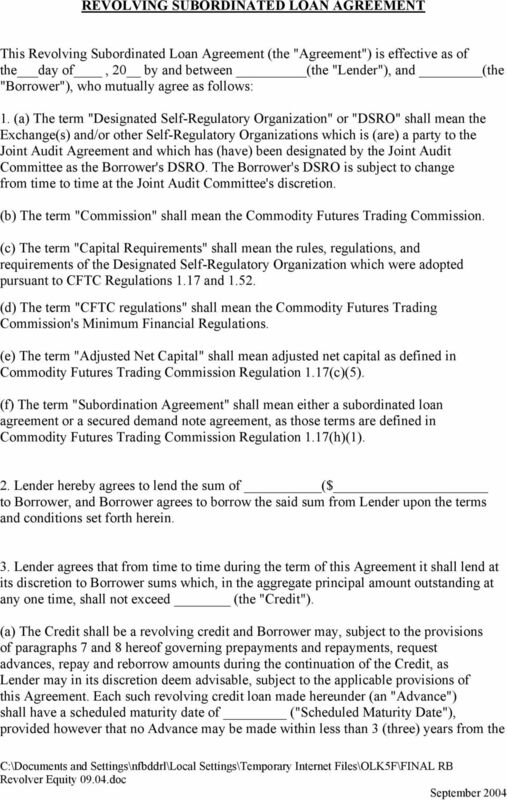 The term "CFTC regulations" shall mean the Commodity Futures Trading Commission's Minimum Financial Regulations. 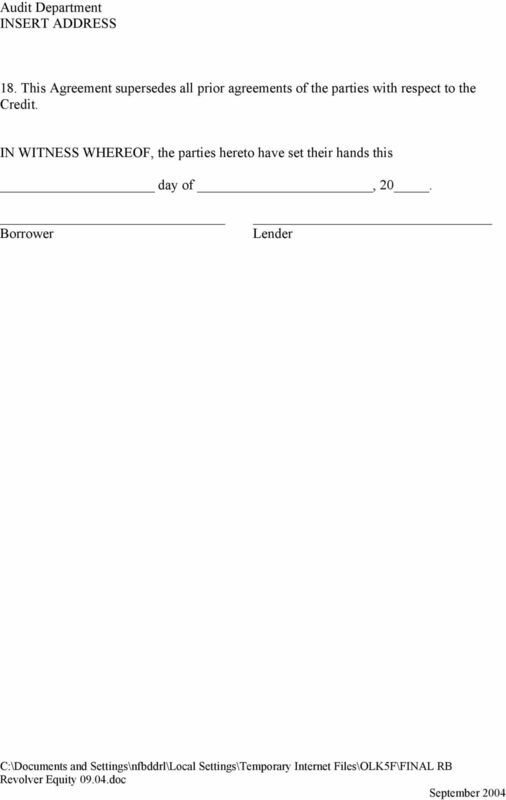 Mission Statement: The Arizona Community Reinvestment Collaborative,(Collaborative) is a coalition of organizations founded to support the development and stabilization of affordable housing in Arizona. 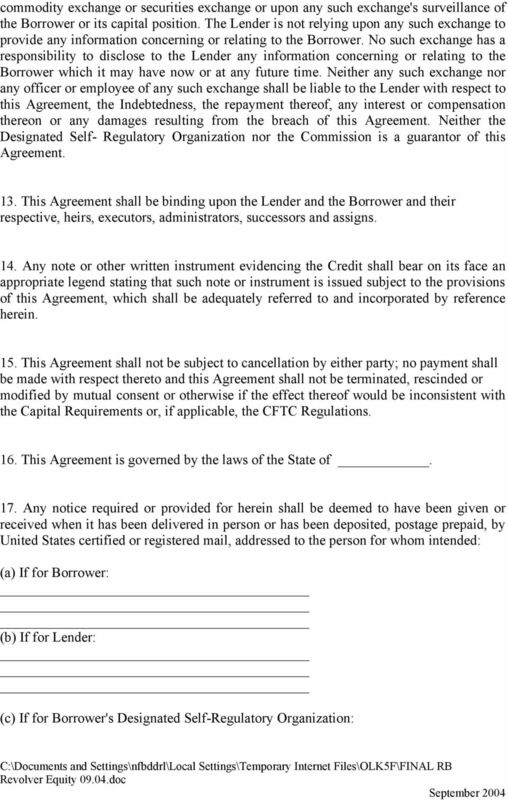 The form is a pro-company oriented.